Coca-Cola wants to spread the 'magic' of its main brand to its low- and no-sugar variants with its latest global campaign, 'Taste the Feeling'. The new strapline is the firm’s biggest marketing overhaul in a decade, and marks chief marketing officer Marcos de Quinto’s first year in the job. 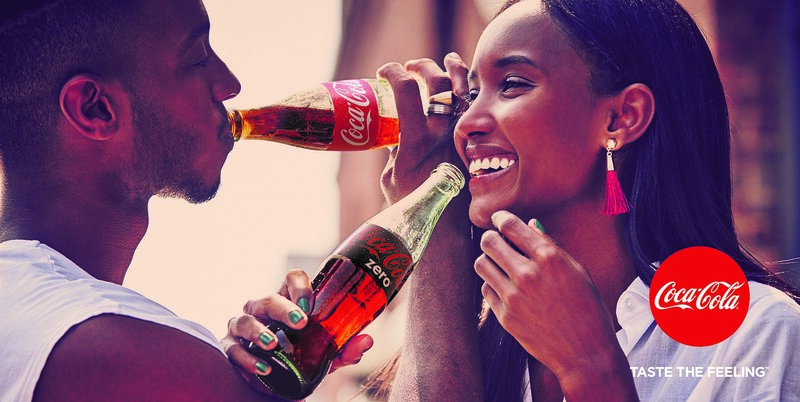 ‘Taste the feeling’ heralds what de Quinto describes as Coca-Cola’s ‘one brand’ strategy. That means ditching the disparate personalities for Diet Coke, Coke Life and Coke Zero, and presenting them as variants under a single brand. If that seems familiar, that’s because Coca-Cola piloted the ‘one brand’ strategy in Spain, Chile, Russia and Northwest Europe, including the UK, last year. The idea is to boost sales of its low- and no-sugar variants in an increasingly anti-sugar climate. Hitching Coke Life, Coke Zero and Diet Coke to the main brand in test markets resulted in a sales uplift that would not have happened otherwise, according to chief operating officer James Quincey. He said: "Apart from in the US, sales of [Diet Coke] and Coke Zero are growing globally. We would always like them to grow more in terms of revenue. "When we executed this one brand strategy in our pilot markets, sales of [Diet Coke] and Zero accelerated. Where this strategy has already been executed, it has driven sales." De Quinto acknowledged that the food and drinks industry as a whole was "facing some challenges" over its role in rising global sugar, salt and fat consumption. "Fortunately for the soft-drinks industry, in the market we can have versions with zero sugar," he said. Coca-Cola UK has been trying to boost Coke Zero sales by associating it more closely with the master brand, and offering promotions. According to data from IRI, Coke Zero’s value sales declined over 2015, while its volume sales went up, meaning Coca-Cola shifted more cans by putting them on promotion. 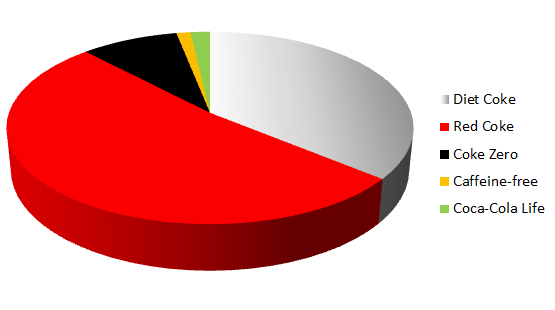 Value sales in the 52 weeks to 2 January this year were down to £92.9m, from £93.9m the prior year. Volume sales over the same period increased to 85m, up from 83m in 2015. IRI’s data does show a slight uplift in unit sales just after the launch of the ‘one brand’ trial in the UK, around March. The trial placed Coke Zero front and centre of a campaign that featured all four Coca-Cola brands. Sales fell again from September. Coca-Cola’s marketing director for Great Britain, Bobby Brittain, said the new ‘Taste the feeling’ marketing campaign would help bring Coke Zero’s popularity in line with expectations. 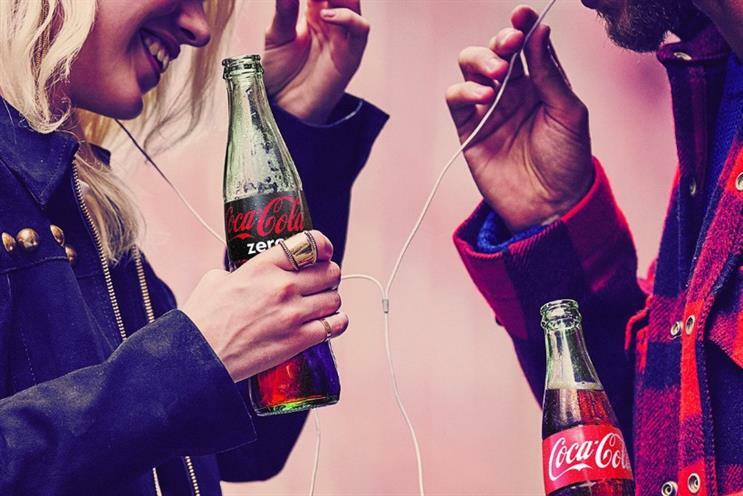 The brand has chosen images from the global campaign that reflect this goal, with Instagram-style ads showing 'Red Coke' and Coke Zero together. "Coke Zero has a huge runway in Great Britain," he said. "The performance of Coke Zero will be much better because of its link to the one brand that is Coca-Cola. That’s our particular angle on the one brand strategy." He added: "We think this strategy and the global campaign will put the accelerator pedal down on our two light brands." The new campaign comes at a politically sensitive time for Coca-Cola and other high fat, sugar and salt (HFSS) brands in the UK. The government’s childhood obesity strategy is imminent, and prime minister David Cameron has refused to rule out introducing a ‘sugar tax’, a penalty on drinks with added sugar.